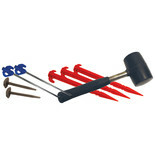 A range of quality tent/rope peg sets made from durable steel with hard wearing plastic heads for a strong tether. 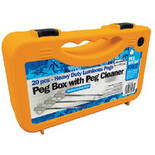 Peg Mate Telescopic Peg Puller. Ideal to for camping and touring on tents, gazebos and awnings, these tent pegs are supplied in a durable case with peg cleaner. 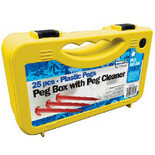 Ideal to for camping and touring on tents, gazebos and awnings, these pegs are supplied in a durable case with peg cleaner. These tent pegs are supplied in a durable case with peg cleaner, whilst the glow in the dark design allows them to be easily seen. 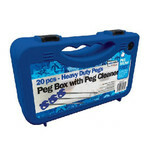 Peg Box with Peg Cleaner Integrated cleaning brush can be easily replaced when necessary! 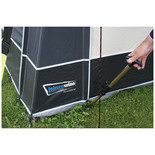 Camping Mallet is ergonomically designed to be comfortable to hold and use. 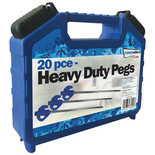 At the end of the handle there is a strong Steel peg pulling hook.